Everything was perfect. Madam Polyxeni and her family are very kind and hospitable. The room was very clean and comfortable. There is spectacular view from the balcony and from the garden. Madam Polyxeni surprised us with breakfast Thank you! Very nice place to stay especially the view! Good shower and fresh baked cakes at the breakfast. Like paradise! Great accommodation. Stunning views and the family is superfriendly and willing to help you as much as they can. We stayed at Villa Polyxeni 2 days in May 18, in a double room with a balcony facing a beautiful view over Sivota harbour. Our hosts were very helpful and lovely, and made us feel at home. The breakfast was over all expectations. Impeccable clean facilities, beautiful decorated in traditional greek style. Lovely family run hotel. From the moment you arrive till the moment you leave you are cared for. Delightful. We liked just about everything about Villa Polyxeni: the location which is a short distance from the village centre, yet very quiet; the proximity to the best beaches at Sivota, especially the famous Bella Vraka (about 10-15 minutes walking distance); a pleasant walk to the village centre; the view from our balcony - including the Sivota port (at night! ), the bay and the open sea; the open kitchen to be used at any time; the breakfast buffet with excellent cakes and pastries, all home-baked; and best of all - the company of the owners! I liked the location and hospitality of the owners. After staying here, it will be impossible to stay anywhere else! We absolutely loved it. Everything was perferct. Με θέα απείρου φυσικού καλούς, ανθρώπους ευγενικούς και καλοσυνάτους, έτοιμοι να σου δώσουν κάθε πληροφορία και να σε εξηπηρετήσουν σε όλους τους τομείς. Βίλα Πολυξένη για να γευτείς το ελληνικό φιλότιμο σε όλο του το μεγαλείο. Σας ευχαριστώ πολύ για όλα! 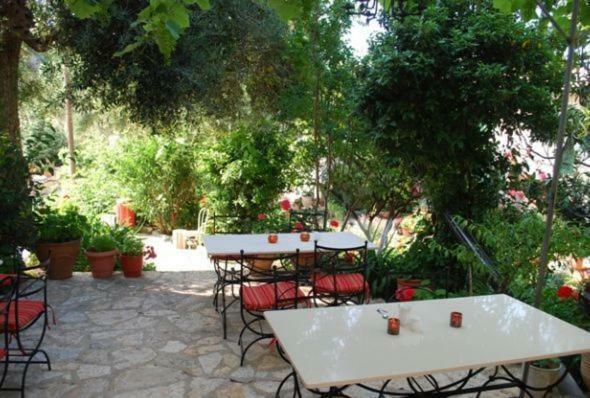 Lock in a great price for Villa Polyxeni – rated 9.5 by recent guests! Within 800 feet from the harbor of Syvota, Villa Polyxeni offers romantically decorated rooms overlooking the Ionian Sea. A narrow path leads you to a small beach, while Bella Vraka and Karvouno beaches are a 10-minute walk away. Featuring a furnished balcony, Polyxeni rooms are air conditioned with iron beds. They come with a satellite TV, mini fridge and private bathroom with free toiletries and a hairdryer. Villa Polyxeni includes a large, country-style kitchen, which guests can use to prepare their meals. Coffee and tea are offered daily free of charge. 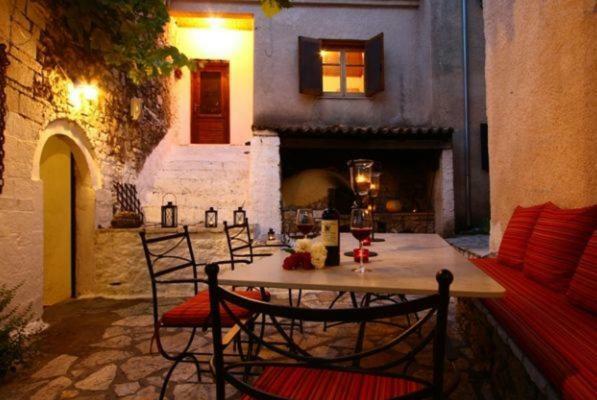 A charming, stone-paved terrace with an outdoor dining area is also featured. 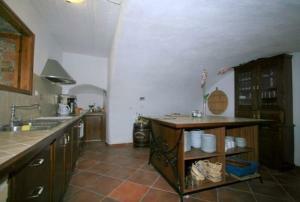 Just a short walk from the complex, you will find traditional taverns, bars, super markets and bakeries. The port of Igoumenitsa is 14 mi away. Free on-site parking is provided. This is our guests' favorite part of Syvota, according to independent reviews. 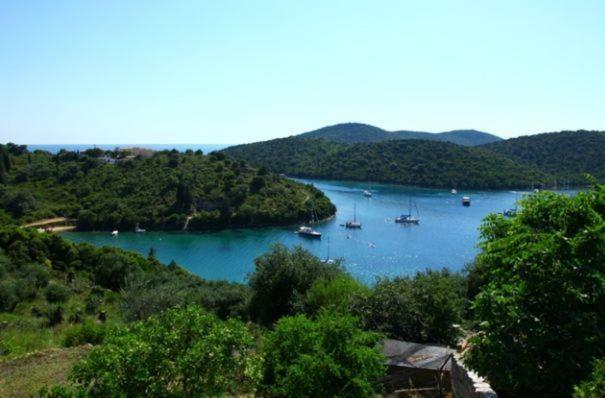 This property also has one of the top-rated locations in Syvota! Guests are happier about it compared to other properties in the area. 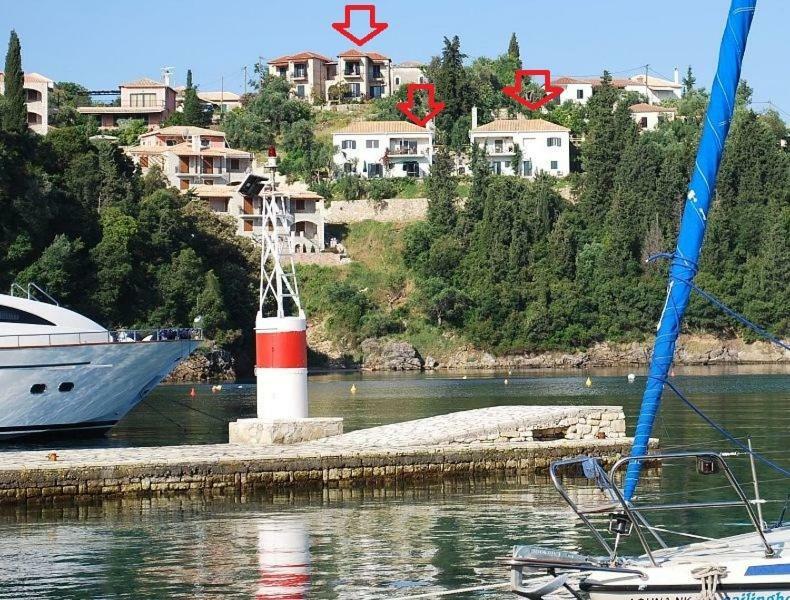 This property is also rated for the best value in Syvota! Guests are getting more for their money when compared to other properties in this city. 뀐 Located in the top-rated area in Syvota, this property has an excellent location score of 9.6! When would you like to stay at Villa Polyxeni? 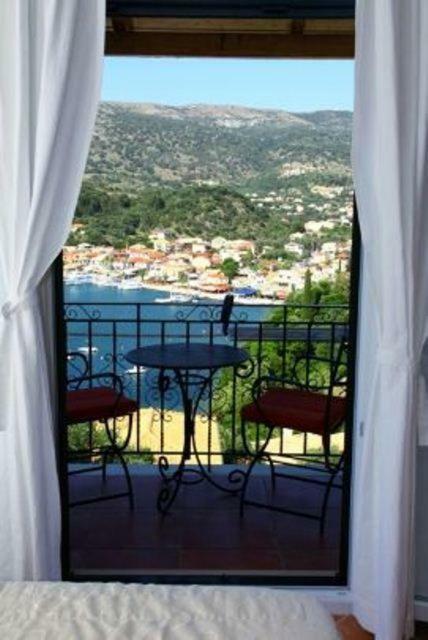 Romantically decorated room enjoying views of the Ionian Sea from its balcony. It includes a satellite TV, mini fridge and free toiletries. - midnight dinner on Holy Saturday. House Rules Villa Polyxeni takes special requests – add in the next step! Villa Polyxeni accepts these cards and reserves the right to temporarily hold an amount prior to arrival. Amazing view and friendly owners. The hospitality and the view!!! I didn't like the size of the room.